R.Kabaloev was born in Old Lesken, Kabardino-Balkaria. 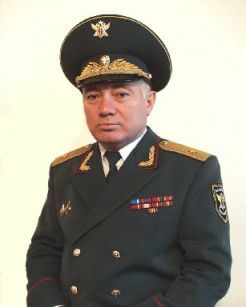 He completed full courses in Ordzhonikidze Military School of Internal Ministry, the law faculty of North Ossetian State University and later on the prestigious Academy of Internal Ministry in Moscow. He dedicated all following years of work and service to the justice system and police forces. Starting as a regular police officer he became a Deputy Internal Minister of North Ossetia. Kabaloev won the respect of all colleagues and subordinates.